For over twenty years, Nick has offered teaching and training to teachers, parents and students in community settings, colleges, and institutions around the world. 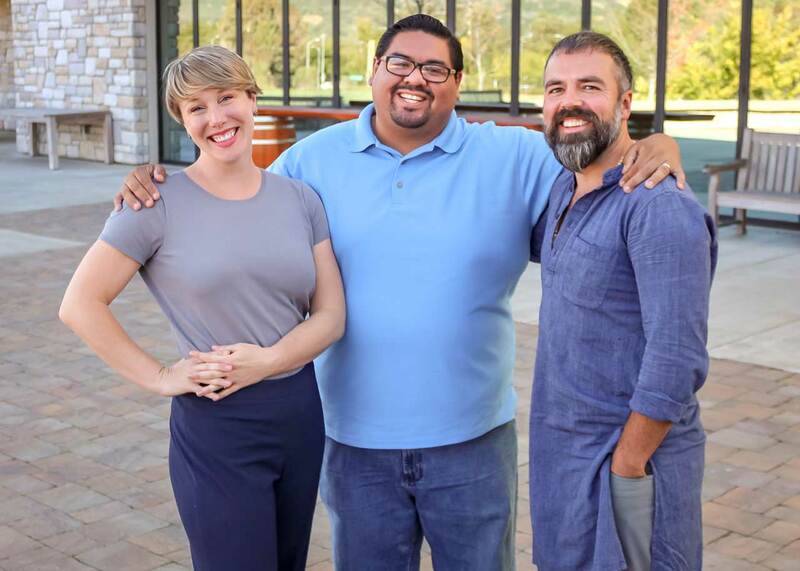 He is co-chair of the Sonoma County ACEs Connection, and also serves as Artistic Director of the arts and healing non-profit HEART WITHOUT BORDERS. Nick is a certified ADVANCED RAINBOWDANCE practitioner, REIKI Master, and a certified Trauma Informed Care Practitioner through the International Trauma Center. He is currently pursuing two graduate degrees: a Ph.D. in Interdisciplinary Arts with a concentration in Indigenous De-colonial Arts from Goddard College, and an M.A. in Restorative Practices with the International Institute for Restorative Practices. As a teacher and trainer, his work has primarily focused on using arts integration to fold SELWELL into curriculum at non-English speaking schools coupled with spearheading community organizing and empowerment in oppressed communities using Restorative Justice. This has included teaching non-verbal communication and psychology at The Shanti Bhavan School in India (NETFLIX “Daughters of Destiny”) to primary students, collaborating with the New York Public Schools and International Rescue Committee to help recent adolescent refugees acclimate to public school using music integration, co-creating the ARTIST AS CITIZEN movement with ASTEP (Artist Striving To End Poverty) at colleges nationwide through The Kennedy Center, and spending 2 years as Director of THE MAYA PROJECT in the slums of Pune, India. This Teach For India program reshaped the nation’s literature curriculum using NEAR Science and arts integration while focusing on Social Emotional skills and teacher development. He has trained teachers at INSPIRed Conferences all over India, the AKANSHA FOUNDATION, TEACH FOR INDIA, SONOMA COUNTY OFFICE OF EDUCATION, SAN JUAN SCHOOL DISTRICT, and more. He also spent over 15 years as a professional artist in the Broadway community. Nick is of Creek descent and lives in the Springs of Sonoma with his peaceful wife Shannon and their dancing child Indigo. Erin Hawkins joined the Hanna Institute as Co-Director in October 2018. A dedicated community health and social justice advocate, Erin previously served as Director of Community Health at the Petaluma Health Care District. She is a proud member of the Board of Directors of COTS, an active Rotarian, and deeply involved in efforts to improve health equity in Sonoma County. Erin received a Bachelor of Arts in International Development from the University of California, Berkeley, and a Master of Science in Community Development from the University of California, Davis. She resides in Santa Rosa with her husband and two sons. Richard De León is an Organization Development professional who elevates underrepresented voices. Skillful in building the capacity for collaboration, Richard facilitates leadership development, strategic planning, negotiations, experiential learning, and coaching to support individuals, teams, and organizations. Client-centered in his consulting, Richard begins with understanding the groups’ needs, then designing processes that deliver sustainable positive outcomes. As an Organization Development professional, he has served corporations, non-profits, small businesses, community groups, and individuals. Currently, Richard’s facilitating a community empowerment initiative in Sonoma Valley at Hanna Institute. Previously, after working in large corporations, Richard served in several roles for Sonoma State University. He co-facilitated the SSU Faculty Retreat and the Sustainability Summit, using World Café to gather information to restructure General Education. Inspired by the joy of being an ally to youth, in 2017 he served as an Educational Opportunity Program Advisor to incoming SSU students from diverse backgrounds to support their empowerment and academic success. With his parents having immigrated from Guatemala, Richard identifies as a proud Latino. Richard is the first in his family to graduate from college with a B.A. in Chicano and Latino Studies in 2005. 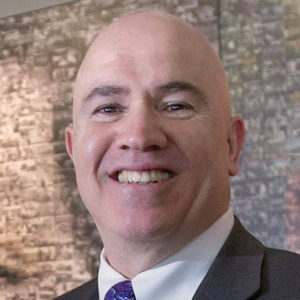 In 2018, Richard earned his MA in Organizational Development at Sonoma State University. Every day, Richard aims to be a better son, father, husband and an authentic human. Brian is the Chief Executive Officer of Hanna Boys Center and acting director of Hanna Institute. He was welcomed as the leader of Hanna Boys Center on April 25, 2014, and launched Hanna Institute in late 2016. Learn more about Brian here.